And on Day One I am leading a workshop on the subject of Voice. For me, as for many writers, finding the Voice of a story unlocks the whole shebang, from tone and mood to dialogue and characterisation. The workshop will involve plenty of writing and exercises and hopefully provide the starting point for some great flash fiction. The subject of Voice in the context of this unique literary festival has also made me reflect on an aspect of flash fiction that deserves more recognition – how the form is a great gateway into writing for those from low income or working class backgrounds. Take time, as an example. If you don’t have the economic flexibility to swap working hours for writing hours, then flash allows you to create, edit and, most importantly, complete pieces within small pockets of time (even if, sometimes, it takes many of those pockets to finish a story). If the secret to learning to write better is learning to read better, then flash fiction scores again – you can read some of the best short-shorts for free online without resorting to an expensive book-buying habit. For writers ready to submit their work, there are a plethora of flash fiction publications that don’t charge and a number of good flash competitions with modest entry fees. This is crucial – few things encourage writers to keep going more than seeing their work published in print or online. And flash fiction has a supportive community of writers – an important consideration when writers from low-income backgrounds often feel alienated by the white, middle-class, Oxbridge-educated reputation of the publishing industry. What’s more, encouraging writers from working class and other diverse backgrounds to try out flash fiction is not just the right thing to do, it’s also necessary in order to broaden out the form’s appeal to a wider audience. 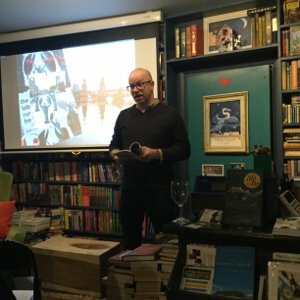 As someone from a working class background myself (specifically a rural working class background – which meant the views were great but the opportunities very limited) I’m keen to help create equality in the literary world and for people on low incomes to be able to start or develop their flash writing skills. That’s why I am sponsoring a free place (or two half-price places) at this year’s Flash Fiction Festival in Bristol. It’s a small gesture, but hopefully a worthwhile one – I know from personal experience how opportunity can be thwarted due to a lack of money, or time, or a sense of simply not belonging in the world of writing. And if, by sponsoring a place I can help a writer get closer to finding their own voice, then even better. If you would like to apply for a sponsored place, or know someone from a working class or low income background who would benefit from attending the festival, then please contact me, Ken Elkes, via the helpdesk.